Once again, we brought Church of the Rock on the Road. We visited the cities of Surrey, Edmonton and Calgary. Our first stop was Surrey. 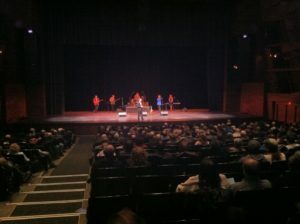 We landed on Friday afternoon and then the team and drove over to the Chandos Patterson Auditorium. At 7:30 PM we began the night. 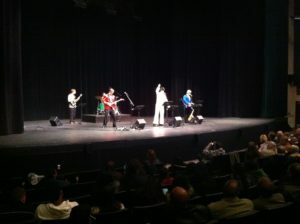 Derek and the team, dressed in their 50’s outfits, came out on stage and played some classic music from the 50’s. We even had a visit from Elvis (no one can do Elvis like Tim!). 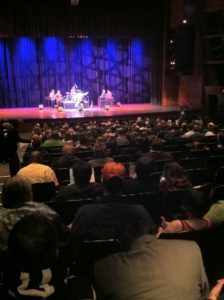 We had a record crowd for our visit to Surrey. Pastor Mark then got on stage preached his message “A Blast From the Past”. He talked about the need to “forgive everybody, all the time”. Of course at the end of the night dozens of hands went up indicating that they wanted to accept Jesus Christ into their lives. It was a great night. 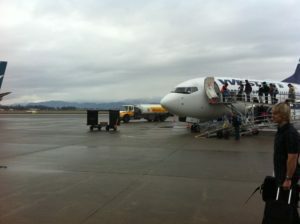 Then we headed to the plane to leave for Edmonton. When we take these tours, we always stop in Edmonton on the Saturday night and then the next day drive to Calgary for a Sunday night event. This year, we ran into some unfortunate weather. There was a huge snow storm in Edmonton and we became aware as soon as we landed that it was going to affect the numbers of people willing to venture out on that day. But the show must go on and so we went to the Jubilee Auditorium and began to set up for the night. Once again, at 7:30 PM, we started the show. Even though the crowd was smaller than we have ever had, we still had a great time. The people loved the music and once again at the end of the night, dozens of hands went up for salvation. Even with the smaller crowd, that act of people making a choice to serve God at the end of the night makes the whole thing worth it. The next day we made our way to Calgary. The highway was terrible, we saw well over 50 cars in the ditch so we made sure to take our time as we traveled to Calgary. 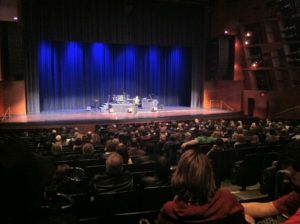 We made our way to the Calgary Jubilee Auditorium. Once again, weather played a huge factor and we ended up having smaller crowds than usual. But as with every other night of the tour, we still had a great time. 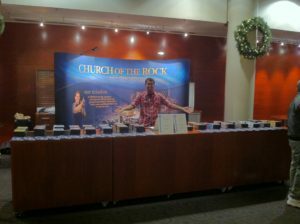 That night, we made the announcement about our plan to start a Church of the Rock Calgary in the fall of 2011. 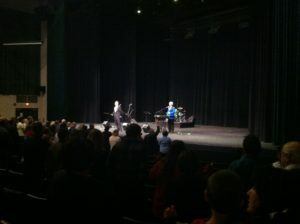 When Pastor Mark told the crowd of our plans, there was a palpable sense of excitement in the air. Once again, there were dozens of hands at the end of the night and people had a great time. Despite the weather, the tour was definitely a successful trip. Our prayer now is that all these people in all three cities who accepted Jesus Christ as their Lord and Saviour will get plugged into a local church. Thank you for those of you who were praying for our trip.